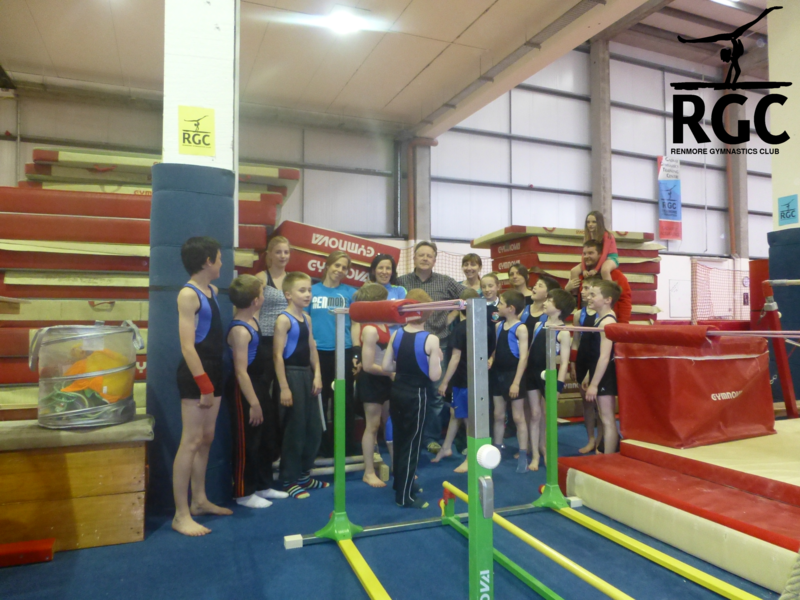 Coaches Sally and Dale travelled up the country today to collect a load of “previously bounced upon” gymnastics equipment which we recently purchased. “We won’t use the skateboards,” replied Dale. Coaches and equipment arrived at the training centre about 6pm this evening. 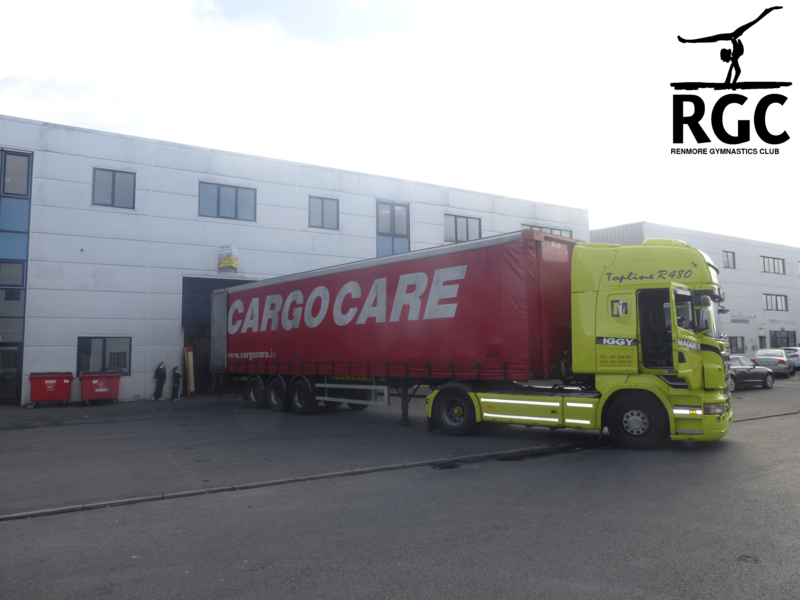 Unloading began, while training continued despite the disruption. Immediately afterwards all the available coaches got stuck in wiping, arranging, and assembling the new equipment. 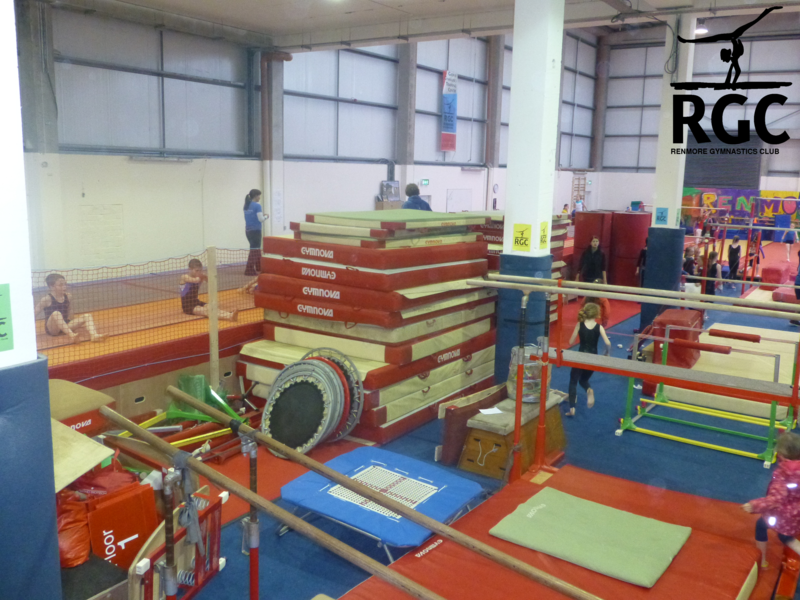 Much of it will be in use from tomorrow, including two new floor beams, a new parallel bars, two dozen mats, and much more. A small amount of the new equipment will be stored safely until we have more training space, and one or two small pieces will be donated to other groups in Galway. Thanks to all who helped today, especially Sally who gave up her day off, coaches Dale and Sam who put in the overtime, and the parents who helped out with the unloading. Thanks also to Iggy Madden Transport who gave us a good price on the haulage. The equipment was purchased from a club which had closed down several years ago in another part of the country. We were sorry their own club didn’t continue, but happy to put the equipment to good use immediately.